If you have a ZCS email, your login will be your ZCS email and your password should be the same as the one you use to login to your computer/email. If you do not have a ZCS email and you don't know your password, please click on the "Forgot Password" link, enter your personal email, and it will send you an email with your password. For IPhone or Android phones, the Outlook app works consistently for accessing email and calendars. Use Internet Explorer or Firefox as there is a known issue with attaching documents when using Chrome. For more information and instructions on downloading Office (free of charge), you can login to office.com or access this guide to utilizing Office 365. Use your ZCS login and password to access curriculum resources. Teachers will be able to use these frameworks, guides and resources to plan lessons. 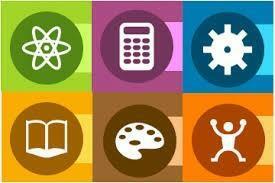 All curricula are based on the Indiana Academic Standards. Research-based best practices are utilized during instruction to provide students with rigorous and engaging learning experiences that foster critical thinking, skill development, and deep content knowledge. Technology Donations come in three forms and the table below should help with what to do with that technology during moves. Let me know if you have any questions.